Written by Nicholas Weiler for University of California San Francisco. Leading microbiome researchers recently came to UC San Francisco to share the newest insights about how improving our relationship with our bodies’ microbial ecosystems could be the next big breakthrough in treating metabolic disease. One major theme of the symposium – hosted by the University of California Sugar, Stress, Environment, and Weight (SSEW) Center – was the question of whether the troubling modern epidemic of metabolic disease may arise in part because our civilization has not been kind to our microbes. The idea that changes in modern lifestyle have increased our risk of disease by altering our microbiomes is still fundamentally hypothetical, but animal studies do suggest that altering the microbiome can have significant physiological effects. For instance, when researchers give lean mice gut microbial transplants from either a skinny donor or an obese donor, the ones that received an “obese” microbiome began to put on excess body fat. UC-TV features recordings of each speaker presentation at "Gut Feelings: The Microbiome, the Mind and Metabolic Health." 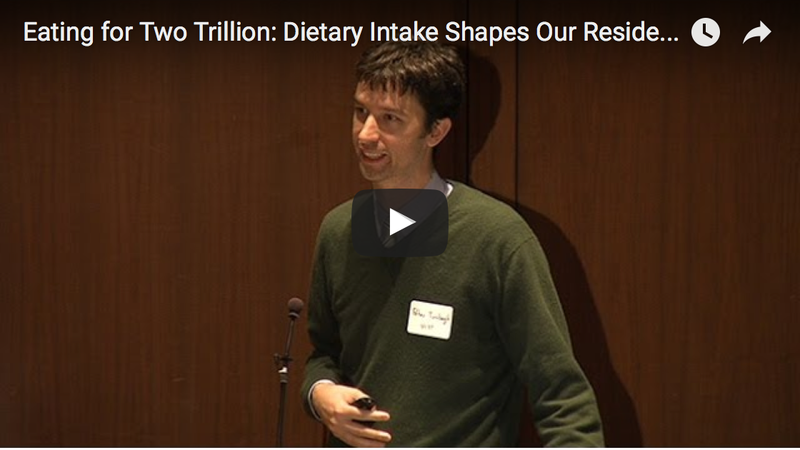 Many of the environmental factors that researchers worry may be harming our microbiomes are difficult to change, but the symposium speakers emphasized that there’s one way we can all affect our microbes immediately: our diet. In a recent study, Turnbaugh and his colleagues placed human volunteers on either a plant-based or animal-based diet and found that eating only meat, eggs and cheeses for just five days resulted in reduced numbers of many of the volunteers’ fiber-digesting bacteria. Other studies have found that high-fat diets promote the growth of bacteria that may cause inflammatory bowel disease. In mice, such so-called “Western” diets significantly change microbial diversity throughout the digestive tract within just a day. In the meantime, researchers expressed hope that our growing insight into how our diets shape our microbiomes could be used to design simple dietary interventions to improve our health. “The microbiome is not static, but malleable,” said UCSF pediatric endocrinologist Robert Lustig, MD, MSL, who recently demonstrated that just 10 days without sugar could significantly improve metabolic health in children. “This growing body of research suggests that what you eat could change your gut microbiome, and therefore change your risk of disease,” he said. Following December’s symposium, Epel and her SSEW Center colleagues announced plans to lobby their home universities to adopt bans on sugar-sweetened beverages, such as the one that has been in place at UCSF since July 2015.